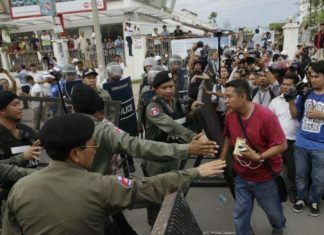 Cambodia holds general elections on Sunday (July 29). The result has never been in doubt. Prime minister Hun Sen’s Cambodian People’s Party (CPP) will win, with its main opposition, the Cambodia National Rescue Party (CNRP), having been dissolved in November. The CNRP had been making impressive gains in general and local elections in recent years, and posed a significant threat to Hun Sen’s rule of more than 30 years. As such, the ruling government accused the CNRP of plotting to take power with the help of the United States, and had arrested the party’s leader Kem Sokha on treason charges; he remains in custody.